Galvanizing Lines are designed to run 24/7. The problem is rolls require maintenance and chemical coatings need changeovers. GFG’s flexible Vertical Shuttle Coater resolves these issues, and is the perfect solution for getting the most productivity out of your galvanizing line, especially if you’re experiencing height limitations. Our highly efficient coater system works like this. 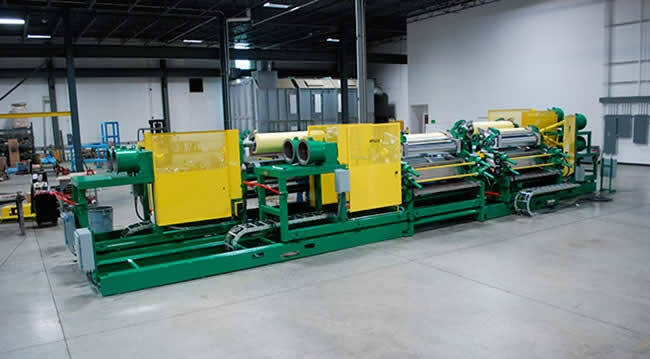 One set of coating heads is in operation while the other set of heads is in the “off line” position waiting to be prepped with a new chemical or undergo a roll change. The changeover takes just 30 seconds compared to 30 minutes for conventional coaters. The result is a substantial reduction in changeover downtime and maximum line productivity.